Whyte & Mackay will present two major new malt whisky collections, from Tamnavulin and Fettercairn, at this year’s TFWA Tax Free World Exhibition in Cannes (Green Village: M52). The company will continue to build on the successful global launch of its new Jura Sherry Cask Travel Retail Collection, which recently received a Gold IWSC Award for ‘The Loch’ expression. And it will further strengthen the international presence of The Dalmore, already established as a significant luxury brand with huge global demand. Lastly, in line with its objective to diversify and differentiate its brand portfolio, Whyte & Mackay will reveal two new contemporary spirits brands at the show. Following a successful UK domestic launch, which has seen Tamnavulin become the number six best-selling malt whisky in that market this year, Whyte & Mackay is now rolling out this brand to its travel retail partners globally. Tamnavulin Speyside Malt is an accessible, entry-level single malt whisky, designed to recruit new consumers to the malt segment and drive trade up from blended scotch. In Cannes, the company will present a travel retail exclusive, Tamnavulin Tempranillo 1.0l, which made its debut in 17 Dufry stores in the UK at the end of August, and retails at £37.50. 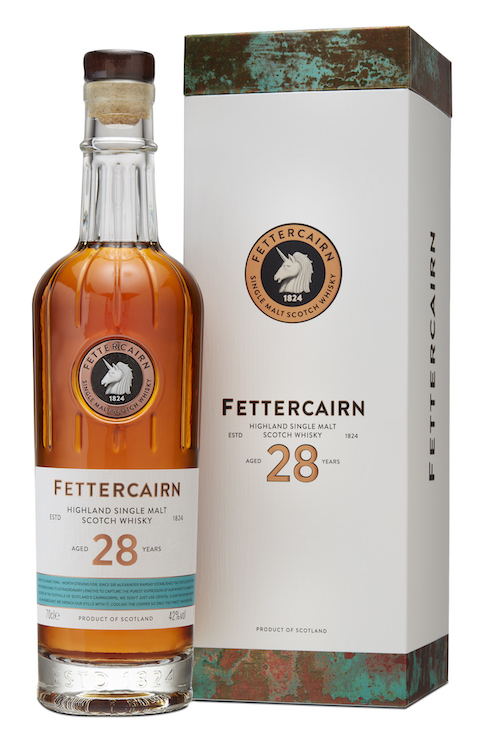 Another key focus at the Cannes show will be the rebirth of the rare Highland Single Malt Whisky Fettercairn – featuring the first new releases from this unique Highland distillery in almost a decade. The core collection comprises four new expressions (12 Year Old, 28 Year Old, 40 Year Old and 50 Year Old), alongside a much premiumised brand identity, bottle and packaging. Reflective of the distillery’s unique production method, and befitting of its stock of rare and aged whiskies, this exceptionally refined new range of single malts is described by Whyte & Mackay as a “must-try” for all whisky connoisseurs. The new Fettercairn collection boasts a house style of tropical fruits, soft spice and sweetness – showcased in melon, pineapple, banana, clove, ginger, treacle, toffee and caramel. Each product in the range begins its life in American Oak ex-bourbon barrels, with the 12 and 28 Year Old expressions resting here until maturity. The 40 Year Old features a finish in an Apostoles Sherry Cask (no.6) and the 50 Year Old in a Tawny Port Pipe (no.1). Priced domestically from around £48 to £10,000, the new Fettercairn range began rolling out into key markets (the UK, France, Germany and Taiwan) in August. To complement the core range, Whyte & Mackay has created a travel retail exclusive SKU, featuring a different finish, which will be introduced in January 2019. In other news, Whyte & Mackay will unveil two new contemporary spirits in Cannes. These exciting new additions promise to attract new younger drinkers to the category, and reflect the company’s commitment to innovation and investment. Whyte & Mackay Director Global Travel Retail Richard Trimby commented: “Within the last few years, Whyte & Mackay has made huge strides towards its goal of becoming a driving force in the global spirits market – and travel retail has a key role to play within this mission. “We are thrilled to be presenting our new Tamnavulin and Fettercairn single malt whiskies in Cannes, each of which will be enhanced by its own travel retail exclusive expression. And we are very excited by our two new contemporary brands, which will be introduced in more detail at the show.” Trimby added: “These new additions – and the sustained success of our other brands, including Jura, The Dalmore and Shackleton – underline Whyte & Mackay’s credentials as award-winning whisky makers and innovators within the spirits category. We will continue to invest significantly in order to differentiate our portfolio, and capture the attention, imagination and spend of travelling consumers. Over the past two to three years our impressive pipeline of innovation has proved that Whyte & Mackay is most definitely one to watch. We are fully committed to creating and supporting a strong brand portfolio that enriches the liquor category by targeting different consumer segments, price points and occasions.